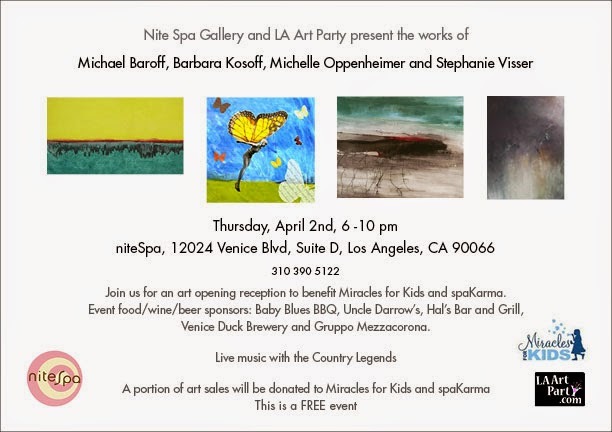 Thursday, April 2nd, Enjoy an Art Party at nitespa, benefitting Miracles for Kids! nitespa opens its doors to art lovers who love luxury. The event will feature live music, wine, beer and some tasty food too...it all happens at nitespa, a local hip spa in Mar Vista. Offering an array of specialty services, nitespa provides a laid-back atmosphere great for extending the air of luxury to its clients. Owner Julia Martin-Wrobel has made it her mission to keep everyone who enters nitespa feeling pampered and taken care of. Or book a private nitespa Spa Soirée which includes both beauty pampering and bottomless beverages. A typical soirée last two to four hours. Clients often enjoy different treatments, so they can build their own. In between treatments, the group can relax in the lounge, while enjoying drinks and/or snacks. It’s a perfect girls night out…or day out. 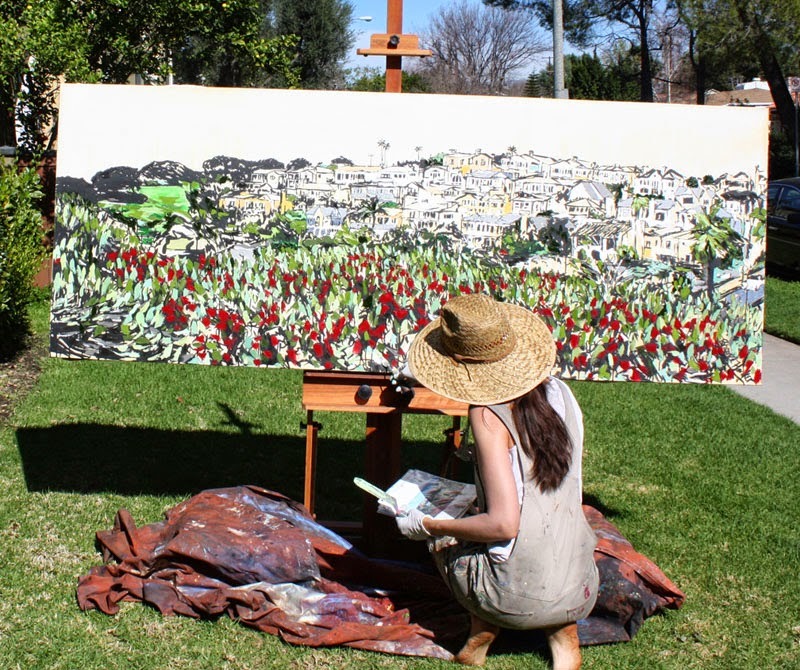 Artists featured will include Michael Baroff, Babara Kosoff, Michelle Oppenheimer, and Stephanie Visser. A portion of all art sales will be donated to Miracles for Kids, a non profit aiding children and their families who are dealing with cancer. Founded in 2002, Miracles for Kids operates critically-needed financial aid programs as well as provides food & necessities, advocacy services and health & wellness programs aimed at improving our families’ emotional and mental well-being during this time of crisis. Miracles for Kids has offices in Tustin and Santa Monica, CA. 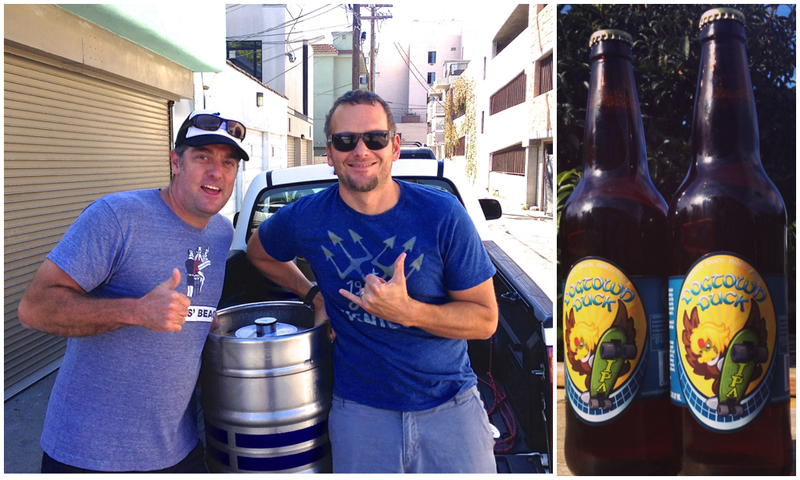 Local businesses have come forward to help with the cause such as Venice resident Christian Warren of Venice Duck Brewery. The company was founded by Warren and his partner, John Binder because they felt Venice needed to have its own beer. It has become a successful business for the team. Venice Beach was instrumental in creating the company…Venice Duck was inspired by a local legend of a guy who went to a party in the Venice canals and woke up the next day on the sidewalk covered with ducks. Wine will also be served at the art party thanks to Gruppo Mezzacorona. The event will offer a wine tasting for Stemmari’s Baci Vivaci. Los Angeles Regional Market Manager, John D'Alvia explained, “Baci Vivaci--meaning "Lively Kisses" in Italian--is our newest sparkling from Sicily. It's a light sparkling made from Grillo (Sicily's most prominent white grape). This wine has all the components of a great white wine: lively aromatics, hints of tropical fruit, and delicately balanced with minerality and nice acidity. It's perfect for the spring and summer months ahead." Uncle Darrow’s in Marina del Rey will be donating its famous macaroni and cheese. This famous eatery is also known for its Cajun cuisine. Norwood Clark Jr., runs the family-owned restaurant and is a big supporter of the community. He immediately said YES, when he heard about the art party and benefit. “Being a first generation family business, we are not selling a product but a culture," explained the co-owner. “Take a look at New . Orleans...it's a potpourri of different cultures...that's what I've been trying to attain." Many locals are big fans of Uncle Darrow's such as Nancy Wilding who's been dining at Uncle Darrow's since it first opened. "They also have a good breakfast with the best chicken breakfast sausage," says WiIding. "I love the fact that they use chicken sausage!" Save room for some chicken wings from Baby Blues BBQ in Venice. Another well known local restaurant who has generously donated food to the art party. It all started with two guys who loved BBQ, the restaurant opened in 2004 and quickly made a name for itself. The famous BBQ sauce is a hybrid of the best of the best BBQ sauces. Both Hal's Bar and Grill and Upper West graciously had donated wine for the event as well. The Sugar Spin company began in January 2015. Located in Orange County, the vibrant cotton candy company was created by Vanessa Manalansan. "Cotton Candy is just one of those things that everyone loves. It's nostalgic for me. I enjoy everything about it. It reminds me of my childhood.," said Manalansan. creating a decoration for one of her special desserts. The shell resembled thinly spun sugar-like cotton candy, it was then that she decided to try adding ingredients to cotton candy to resemble that dessert. “I rented a cotton candy machine and spun in ingredients... It was delicious, and thought I need to share this with the world.” The flavors were unique different than any other cotton candy available…flavors such as Strawberry Cheesecake, Green Tea, Orange Creamsicle, and one of its top sellers, Yabba Dabba Fruity Pebbles. Sugar Spin will be participating in Big Bite Bacon Fest this August in Long Beach. Try out its newest Bourbon Spiced Bacon Cotton Candy. See http://www.comidaproject.com/ for more info about Sugar Spin. The event will feature live music with the Country Legends. The band features Greg Cruz guitar/vocals, Kathy Leonardo vocals, Petr Hromadko on stand up bass and Mitch Montrose on druums. The band performs country classics - melodies made famous by the likes of Johnny Cash, June Carter, Merle Haggard, Patsy Cline, Willie Nelson, Dolly Parton. The band will also feature blues too. For more info, check out the Country Legends FB page. 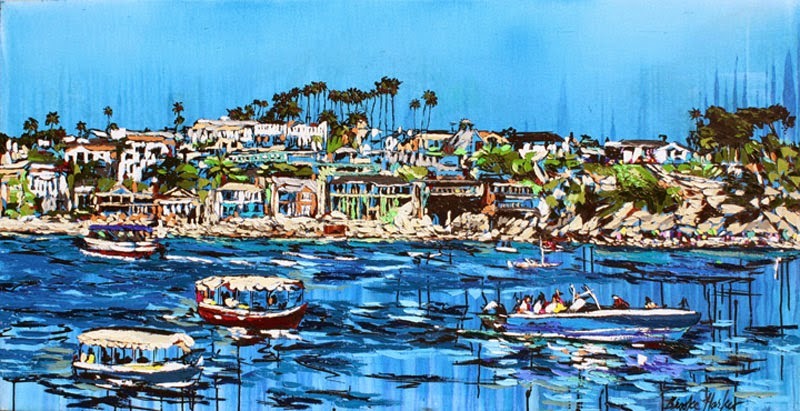 “Energies of the California Coast” opens at Lu Martin Galleries, Thursday, April 2nd as part of the Laguna Beach First Thursdays Artwalk. The gallery was opened in 1988, by Lu Martin and is housed in a converted cottage on Historic Gallery Row in North Laguna, where the earliest galleries in town were centered. Featuring a balanced mix of contemporary and traditional styles by various local, regional, and international artists, Greg Martin (son of Lu Martin) also works the gallery.